Spending while unconscious. Track your spending and consider your impulse buys at the grocery, gas station, convenience and other stores; the services you are being charged monthly for that you don’t really use; or your brand name buying when generic will do. 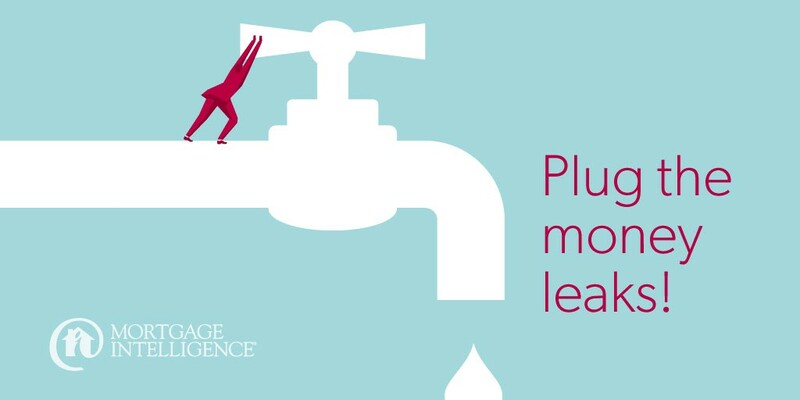 Look for the leaks, and then resolve to spend consciously. If impulse buying is a big culprit, always make a list and stick to it, only grocery shop once a week and never on an empty stomach! Convenience costs. It’s a lot easier to spend more than you intend to when you exclusively use your credit cards because you aren’t seeing the money. You just press some buttons and presto, your purchase is made. You might not be so liberal with your money if you actually had to hand it over. Consider withdrawing a fixed amount of cash for your spending every week. Examine your bills. Take a good hard look at your monthly bills and go through them line by line. Look for small, unexplained charges, fees, and add-ons. Some of them may be for services you don’t use or perhaps don’t remember requesting. Or they could be for services that you can actually live without. Even if the amount is small, why have it charged every month? It doesn’t hurt to ask. Whether you are signing up for internet or buying a car, ask “is this the best you can do?” or “can you make it more affordable?” Do research in advance so you are prepared and knowledgeable on all things related to what you are buying. Plug your biggest money leak: high interest. All of the savings you make in lifestyle choices mean nothing if you don’t put a plug on paying high interest. Always pay down your credit cards as much as possible. If debt is choking your cash flow and you have enough equity in your home, you may be able to move that debt to your lower-rate mortgage and save thousands. If high interest debt is a big money leak for you, get in touch with the team at MiMortgage.ca. 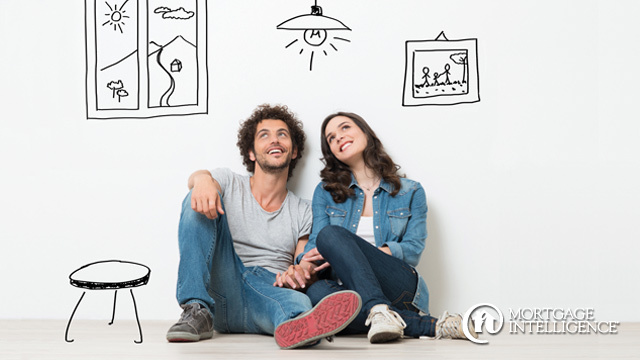 Using home equity to pay down debt is one of our specialties. A penny saved is a penny earned! By making the right decisions, your mortgage could be a goldmine of potential savings. With access to a broad spectrum of over 50 lenders, we’ll comparison shop on your behalf so you get the right combination of mortgage features and privileges that best meet your current needs, and offer you substantial opportunities to save money over the life of your mortgage. Together we’ll look at term, fixed vs. variable, pre-payment and payment options, portability, assumability and any restrictions, penalties and fees. Using your prepayment privileges and choosing a mortgage that has the most fair penalty should you want to get out of your mortgage early are tried-and-true ways to save money on your mortgage. If you are like most homeowners, you are focused – for good reason – on finding the best possible rate. Rate is important of course but cheapest isn’t always best. Some discounted mortgages come with very rigid contracts that could work against you in the future and actually cost you more in the long run. You’ll also want to sharpen your focus at renewal time. Just as we did when we originally funded your mortgage, it’s important to investigate your options and make sure you are getting the best possible deal. Not auto-renewing your mortgage and making sure you get a fully discounted rate could save you thousands. Also consider how much your time is worth. Time savings is a definite benefit of working with a mortgage professional. We look after every detail of your mortgage search and the negotiations on your behalf. Why not save time and money; let the experts at MiMortgage.ca show you how! Buying a fixer upper? Protect yourself from “sink or swim” renovations! So you’re one of those buyers who absolutely loves older homes: the character, the unique architecture, the settled neighbourhood… and maybe the great value. But even older homes with “great bones” sometimes need a little renovation to turn them into the home of your dreams. Unfortunately, sometimes on top of the home purchase price, a few costly renovations can sink you. Good news. We’ve got a mortgage to keep you happily afloat. We can bundle the cost of those immediate renovations right into the mortgage: so instead of sky-high credit card and line of credit bills… you’ve got your mortgage and renovations looked after in one easy monthly payment. It’s called a “purchase plus improvements” mortgage. It covers the sale price of the home, plus any renovations that would increase the value of the property, up to $40,000. You also get pre-payments – so you can pay off your renovation faster. Contact the team at MiMortgage.ca.We can take you through the process, so your mortgage and renovations go… swimmingly. 72% agree that mortgages are good debt, and 76% agree real estate is a good long-term investment. 58% are optimistic about the economy in the next 12 months. The decision to buy is often influenced by key life events – start a family (33%), getting a promotion/raise (30%), getting married (29%), inheritance (8%). Primary downpayment sources are personal savings (73%), gift/loan from a family member (36%), TFSA (33%) and RRSP (29%). Average downpayment savings is $37,000 among imminent buyers. Neighbourhood (61%), safety (58%), and potential for increase in value (50%) are the most important home features. Features that are considered to be worth a premium are nice neighbourhood (33%), short commute (31%) and safety (29%). Wherever you are in your homeownership journey, the experts at MiMortgage.ca are here to answer your questions and help you find the right mortgage, with the rate and flexibility you need to be a happy homeowner. Contact the team at MiMortgage.ca to speak to an expert now.